Madonna is currently mixing her new album with Mike Dean and Lauren D’elia. Please, note that this is not a tracklist, but a working board with the tracks they are currently mixing. Those ticks are related to the mixing. It is very probable that there are other tracks already mixed. Also, note that not all – and not necessarily all – these tracks will end up on Madonna’s new album. 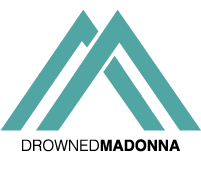 ++ Madonna used Extreme Occident as a hashtag. Same for God Control. * Madonna recently commented on a Mirwais post on Instagram with “Dark ballet“. And he added: “Very dark.” Absolutely not casual. The screenshot is from Stanley Kubrick’s A Clockwork Orange movie. ** The Batuque (or Batuku) is a music and originally forbidden dance genre from Cape Verde. The Funaná is a music and dance genre from Cape Verde. It is perhaps the most upbeat form of Cape Verdean music. Madonna used those hashtags several times. *** Medellín is a city in Colombia, which used to be very violent and poor, and now it is a model of transformation. Also, note that Maluma was born in Medellín. ***** “Loca” in Spanish means “crazy.” We cannot exclude that Loca is the Spanglish version of the track number 11 called Crazy. ****** Back That Up is the title of one of the unreleased demo tracks Madonna wrote with Pharrell Williams for Rebel Heart album. Of course, this can be only a coincidence.